New Delhi : Mahendra Singh Dhoni has proved it on several occasions that for him it is India first. During the third T20I against New Zealand, a fan carrying an Indian flag breached security, ran towards Dhoni and touched his feets. 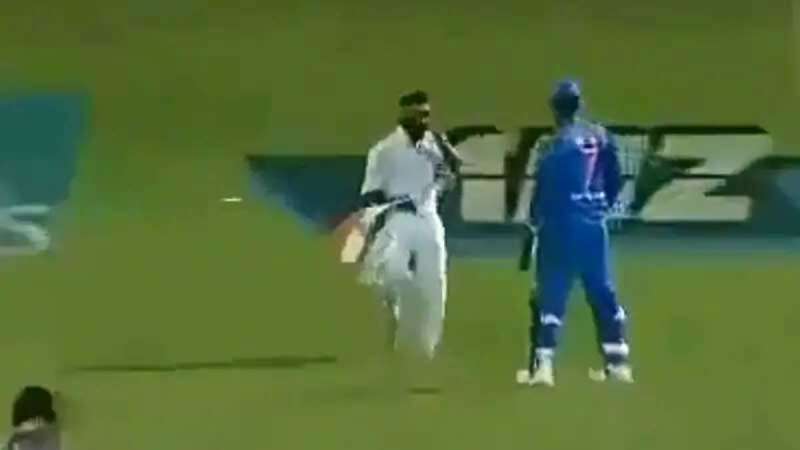 The 37-year-old cricketer saw Indian flag going towards the ground, he quickly took it away from the fan and gave it to a security personnel. MSD's gesture recieved a lot of praise from the fans on the social media. Team India, however, did not manage to win the game, but it definitely won hearts with its dedicated efforts till the last ball.